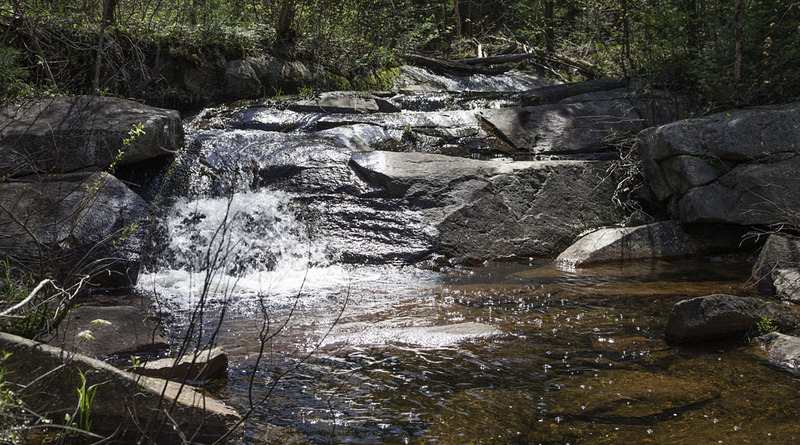 The stream and this waterfall are located west of Lac Clair. Spring is the best time of year to visit certain locations when the water levels are higher. I was never in this area at around lunch time – it would have been ideal to soak my feet in the stream while taking an extended break to eat. The collection of images in this gallery are the product of multiple trips to the Park over several years, and represent some of my favourite locations and things. Whether it be the lakes, ponds or streams, water can be found everywhere in the Park, and is a prominent feature. Evidence of how the lakes and ponds serve as a haven for beavers can also be found everywhere. The beaver dams are truly marvels of engineering, and these structures often serve as bridges along the unofficial trails of the Park. There is a path through there!